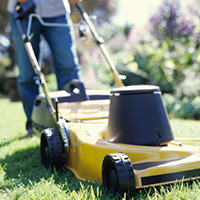 Daily chores and tasks can add up to offer big health benefits. Find out just how effective your everyday movements really are. You probably know that regular physical activity is an important part of a healthy lifestyle. It lowers your risk of chronic health conditions such as heart disease, stroke, high blood pressure, obesity, diabetes, depression and some cancers. But what exactly is physical activity? Is it the same as exercise? And how do you know if you're getting enough? Physical activity is movement that works your muscles and requires more calories than you use when resting — such as gardening, taking the stairs and dancing with friends. Exercise is a structured and repetitive form of physical activity that can improve your cardiovascular fitness. It includes activities such as swimming laps, taking a brisk walk, stretching and strength training. For the best health benefits, it's important to combine physical activity and exercise each day. Aim for achieving 30 to 60 minutes of moderate-intensity physical activity — including structured exercise — most days of the week. Physical activity is most beneficial when it's intense enough to really boost your heart rate. Focus on moderate- and vigorous-intensity activities, such as washing your car, mowing your lawn with a push mower or biking with your kids. Do your desk work standing at a counter. Exercise while watching TV. Start with commercials. Vacuum your carpets and furniture. Walk up and down every aisle in a large discount store. Turn off your TV and take a walk. Get off the bus a few blocks early or park three blocks from work. If you’re traveling, pack resistance bands and use them in your hotel room. Want to know how many calories you can burn during daily activity? This list shows some common daily activities and the number of calories you can burn while performing them. Keep in mind that these numbers are estimates and depend on your weight and how much effort you put into the activity.